The spirit of aviation inspires the industrial forms of this traditional wall decoration. 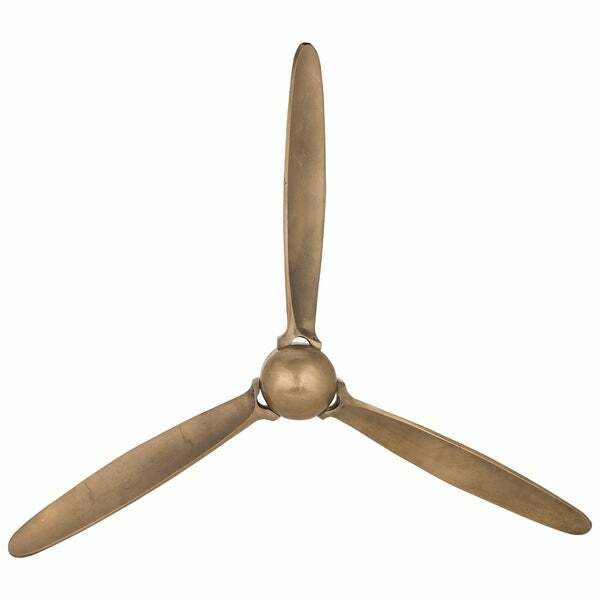 An artful replica of a classic plane propeller, the aerodynamic design of each blade is cast in aluminum and finished in antique brass. An authentic reproduction art piece that commemorates the golden age of air travel, this decorative wall ornament complements office walls and studio spaces with a penchant for aeronautical engineering. Dimensions 31.0 In. X 31.0 In. X 4.0 In.